Announcement MelodiePerfumes - Women perfumes, natural beauty. ALL products at Themefragrance.com. As seen Vogue, Anthropologie. Perfect Gifts for you and yours. MelodiePerfumes - Women perfumes, natural beauty. ALL products at Themefragrance.com. As seen Vogue, Anthropologie. Perfect Gifts for you and yours. Honey perfume, perfume spray, body spray, honey bee, honey scented, Honey Love, gift, Melodieperfumes, sweet, bee, body mist. Seen Vogue. Chocolate perfume - Dark Cosmos ™ Perfume spray. Chocolate berry, sweet perfume, gourmand perfume, cocoa perfume, body spray, body mist. Violet perfume, Victorian, Violette Perfume ™ by Melodie Perfumes, Perfume spray, floral, rose scented, vintage style,edwardian, body spray. This scent is amazing - very high quality and lasting power. Such a beautiful strawberry blend with a little bit of spice. I am very pleased with this purchase. The Vanilla fragrance you want only from Theme Fragrance. Madagascar vanilla, resins and sweets. Sarong perfume - The Original Beach tropical fragrance! Soft beautiful and evocative. Melodie Perfumes Modern Vintage-Nouveau Retro Perfumes, Body Niceties and Sundries. Perfume Oil Roll Ons, Elegant Indulgences. E. Morrison designs both the Melodie Perfumes and Theme Fragrance line in New York. A professional photographer with a passion for fragrance and skincare, is a graduate of Rhode Island School of Design. She began her inspirational and influential photo career as an assistant to legendary photographers Arthur Elgort and Irving Penn. Her pictures have been published editorially in magazines such as Vanity Fair, Rolling Stone and Paper Magazine and she has shot visionary portraits of personalities such as Madonna, Daniel Day Lewis, Debi Mazar, Natalie Merchant, Philip Glass, John Mellencamp. Self taught perfumer. 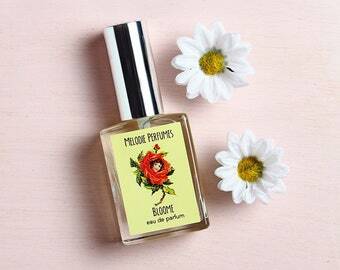 Melodie Perfumes is the younger sister brand to Theme Fragrance, my first foray into the beauty world. I wanted to create a line of small batch, vintage inspired perfumes, cosmetics and soy wax candles that used modern techniques but had nostalgic evocations through the design aesthetics. Our products are both effective and redolent - hopefully provoking a childhood memory, a cherished moment in time, or a new musing through storytelling with scent. I wanted to think of this line as a community of creativity - my imaginations translated through my products and re-inspired by the user. As we all know, modern life is busy and hectic, so Melodie Perfumes was designed to bring back the feeling of more quiet times. Our products are affordable and combine the best of modern and old world formulation, and offer vegan options so that our line is accessible to everyone. Everything from the conception, formulation, photography, and shipment, is handmade by me. I work in a white-washed loft that used to be a shoe factory in Dumbo, Brooklyn and I design in a grey-wood barn in Millbrook, New York. My studio is compact and vertical, and I am often seen on a ladder gathering supplies. My workspace is of minimal design, but I work under a large painting of trees and birds that brings the natural world into my New York City space. Retail and Wholesale - please convo for information. We require all business information at time of inquiry. See our main page. Miss Melodie has indulged herself in the creation of perfumes and fragrance since she was 8 years old.She loves vintage, and has a large collection of ephemera, dolls, ribbons, pens, wall papers, tins, Indian printing blocks, furniture, and artwork. Your purchase is your acceptance of our store policies, so please make sure that you have read your receipt, and the policy area of our shop before checking out. Your purchase of our products is also your agreement to accepting our policies. Theme Fragrance/Melodie Perfumes reserves the right to cancel transactions. As a buyer you agree that unless you have contacted us regarding sale of our products as a verified vendor -Theme Fragrance and Melodie Perfume products may not be resold on any internet venue or land store including Amazon and Ebay. We suggest you try samples before purchasing full size products. Products are non refundable. Once opened they cannot be resold due to risk of contamination or adulteration. Your purchase is also your acceptance that you have read the entire product description in full. If you have questions please email or convo. Returns or exchanges are accepted on unopened and sealed boxes/ products within three days of delivery of item/items to customer. Every box shipped out - the buyer receives a tracking number, and information how to contact us. Your satisfaction is very important to us. We are not responsible for the actions of carriers, and how they handle the package especially during peak holiday season - please order well in advance of need to arrive date. Rush orders must be a custom order and discussed with seller. Please review all ship by dates for items. Each item has a time frame. We normally try and ship out as soon as we receive an order, but this is no guarantee around holiday time when our shop is very busy. We do our best at holiday to keep our shipping fast and speedy. International orders - we cannot control the amount of time it takes to ship to other countries. Please be aware some countries can take up to a month or more. Buyers are responsible for asking seller for shipping insurance in case of lost packages and tracking number. Most problems with international orders is from being given the wrong address - please make sure your address is correct and that you have given us a telephone number. If there is a question with an order, please contact us immediately. If you have questions about what you might like to wear please inquire before ordering-I try and write my descriptions so you get the idea of the fragrance...if you are unfamiliar with a scent please write and ask! I am happy to familiarize you with new scents! Wearing perfumes is like going on a voyage! Handmade body products are fabulous to use and good for your skin, but their shelf life is limited. Unlike many commercial products, some handmade toiletries do not contain the chemicals used to prolong shelf life and allow the product to survive extreme conditions during shipping. For best results, handmade body products can be stored in the refrigerator, or in a cool, dry place. Keep all products away from children. As with any product, even natural products, they can be toxic if misused. Please store all perfumes and roll-ons in a dark cool area away from sunlight. Heat and Light are not fragrance, and bath and beauty products friends! Vanilla scented fragrances, and related products will darken in time, but this will not affect the fragrance or fragrance power! Essential/fragrance oils, salts, scrubs, herbs, sprays, etc. may aggravate medical conditions (for example, rosemary essential oil may aggravate epilepsy, or shea butter cannot be used by those with allergic reactions to latex). Do not use products with ingredients you have a known sensitivity to. Please do a patch test if you feel you are sensitive to any body, or beauty products including fragrance. You can be allergic to NATURAL and or ORGANIC products as well! Do not use products on open wounds, or on broken or irritated skin. Products are for adult, external use only, unless otherwise indicated (such as with baby or pet products). If rash or irritation develops, discontinue use and see a physician if necessary. If eye contact occurs, flush with plenty of water and seek medical attention if needed. Contact poison control center immediately if accidental ingestion occurs. Preservatives help guard against contamination by microorganisms; however, my products, and are used at consumer's own risk. Many products contain expiration dates for safety, and lotion/cream labels contain a warning about safety. Bacteria can be introduced into products (such as creams, balms and scrubs) by dipping fingers into the product, or by letting water get into them. We are required by law to carry the following warning: Our products are not medications/medicated cosmetics and they are not meant to diagnose, treat, or prevent any medical condition. Please use at your own risk, taking into account all personal allergies and sensitivities. In the even of rash or irritation, discontinue use immediately. When in doubt, please test on a small patch of skin before applying liberally. Melodie Perfumes and Body products are in no way intended to be, nor should be construed as medical treatments or cures for any medical condition. Our products are formulated and should be viewed as an aid for taking care of your skin but not as a remedy or medical treatment in any way. Information provided is not designed to diagnose, prescribe, or treat any illness, or injury and is provided for informational purposes only. Always consult a medical doctor, or other alternative medical practitioner when suffering from any disease, illness, injury or sensitivity before using any new product. While every effort is made by us to ensure that any information given is accurate and that any and all products supplied by us are of the highest quality, because of varying personal conditions, equipment usage, and clarity of interpretation of others, we take no liability for your implementation of products, or products available through this site or associated linked sites. Although we have made every effort through our research to provide these safety statements, it is advisable that if you are pregnant or suffer from an illness or disease that you discuss the use of essential oils or fragrance oils with a health care provider. There may well be other warnings that we are as yet unaware of, so please do some research before using fragrance or essential oils. Due to our use of natural products, and the use of vanilla there maybe some variation in color of our product with time. This does not affect the fragrance of our products. All products/Open products - All perfume products, lip balms may not be returned as these are personal products that cannot be resold and we want to assure our customers that products are fresh. Your purchase of our products is your agreement to accepting our policies. Please read our entire policy page! Your product ships normally within one week of placing order. All convos are returned promptly. Shipping maybe slightly delayed at peak holiday times. We love working with stores of all sizes. Please send me your shop information, how long you have been in business, type of customer you serve, description of store interior. This helps me, help you in choosing products.